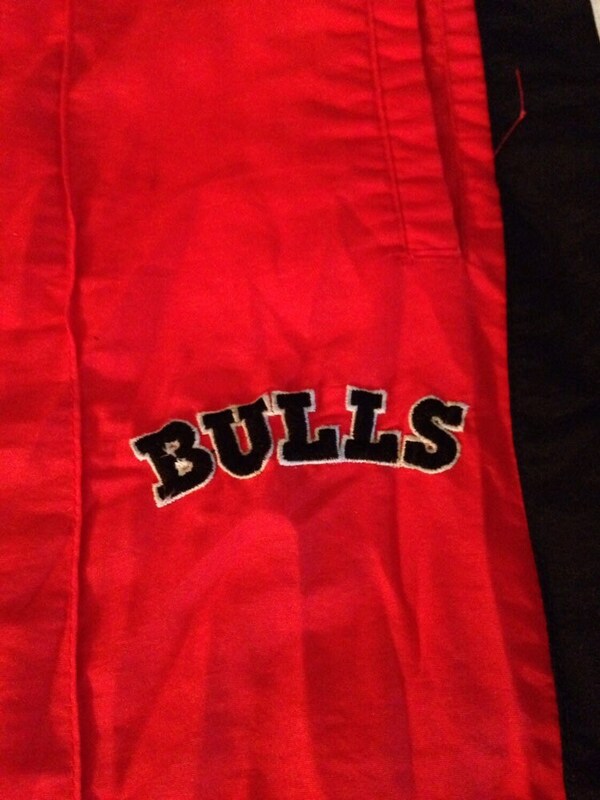 Have "Bulls" written bellow left front pocket. 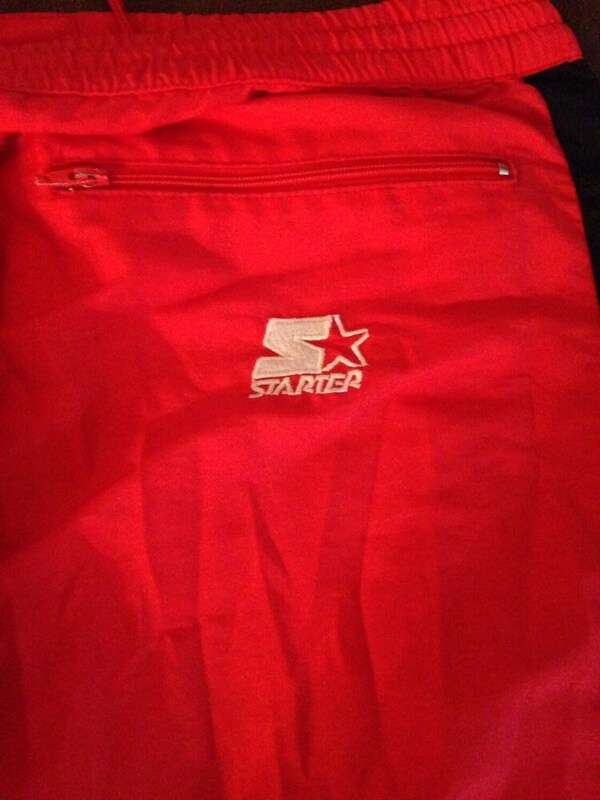 "Starter" logo on back pocket right side. 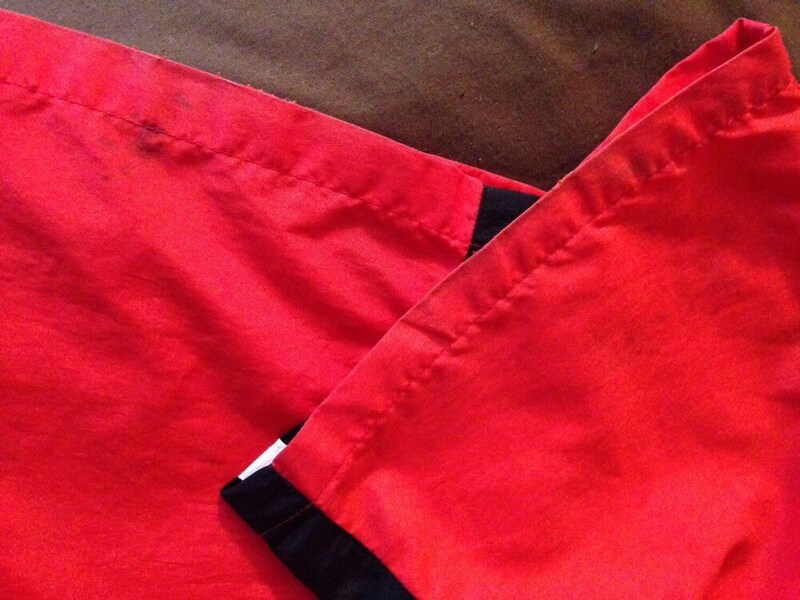 Has a zipper pocket on the reverse side. 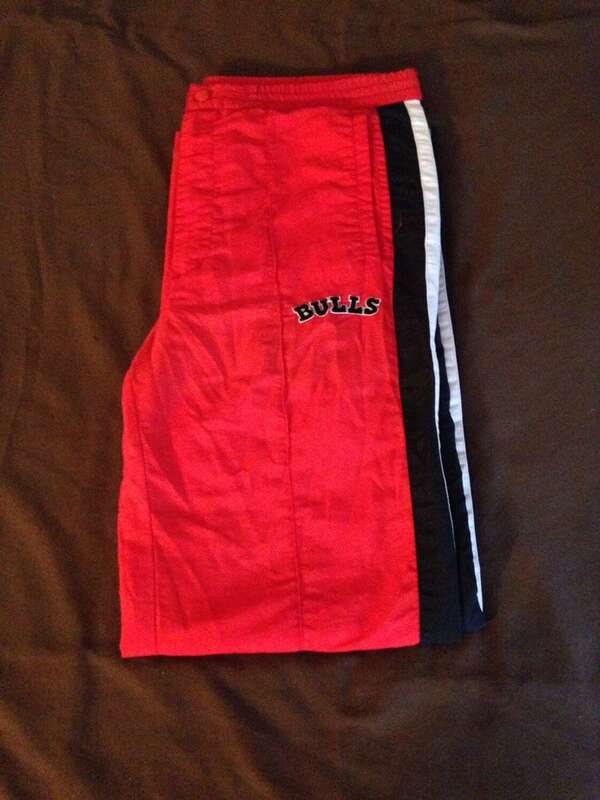 Two pockets on the front. Measures 35" at the waist. 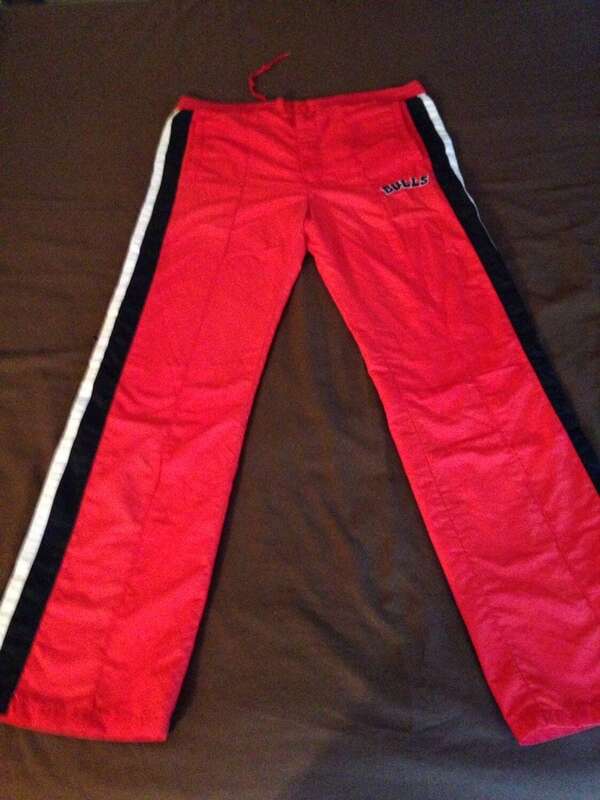 Label says it's size "small"
Has some wear on the bottom of the pant legs in the back side. See pics.